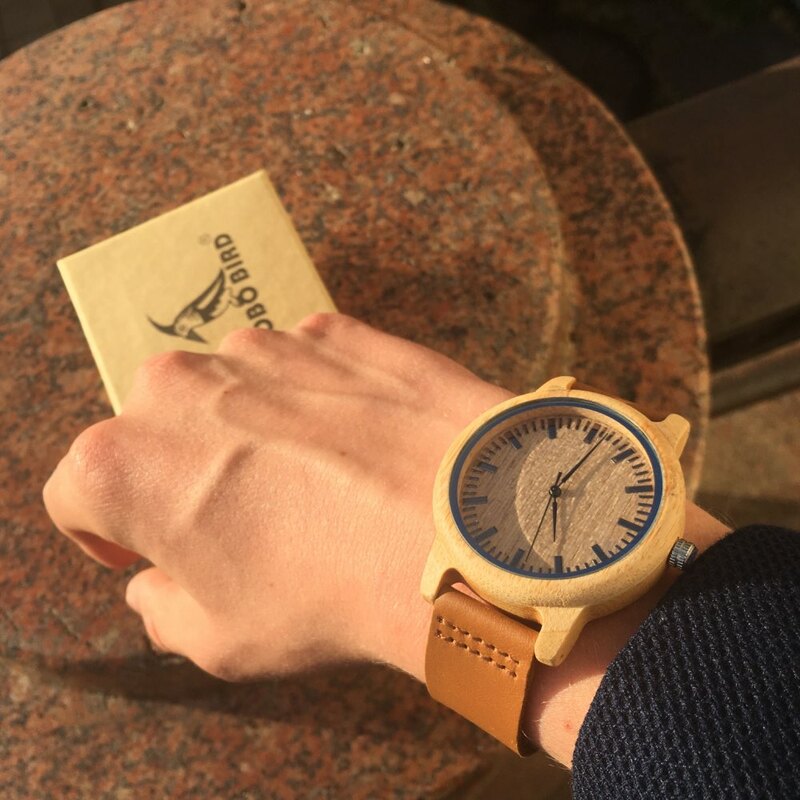 From Bobo Bird comes two watches that are stylish, different and bound to catch any eye. Apart from looking great, what sets these watches apart? Firstly, the way they are made. 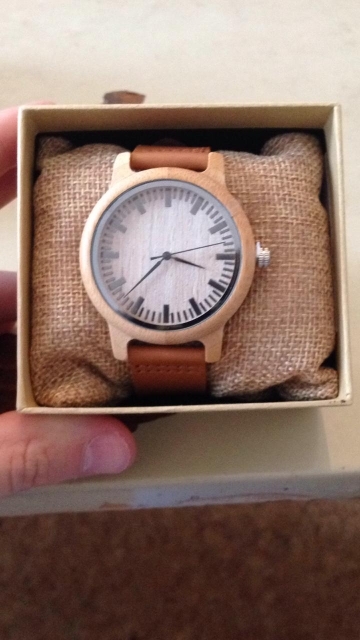 The case is comprised of Bamboo, an excellent wood as it is both tough and durable. Secondly, Inside the case a quartz movement is used for improved time keeping accuracy. Thirdly, A soft genuine leather band is fitted to the case for the wearers comfort and Hardlex glass is used as the dials windows to lend an additional bit of toughness to this design. 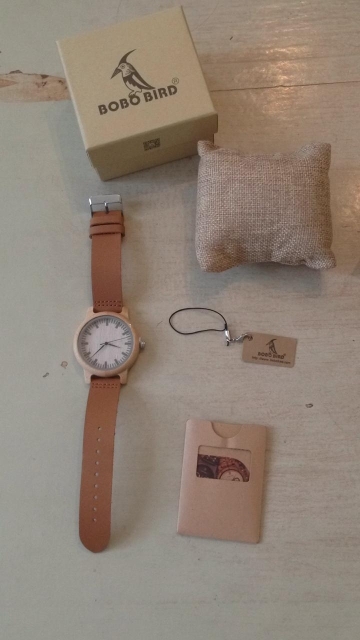 Finally, the simpleness in both designs adds to the watches appearance the overall effect. Comes in two design variants, with and with a display dial. Would make an excellent gift for a friend, a loved one an anyone looking for something that little bit different. Доставка достаточно быстрая, пришли без дефектов, все идеально. Часы минималистичные, без циферок будет по-началу сложно точно понять время, но думаю можно привыкнуть. Prodotto bellissimo e velocissimi con la spedizione!